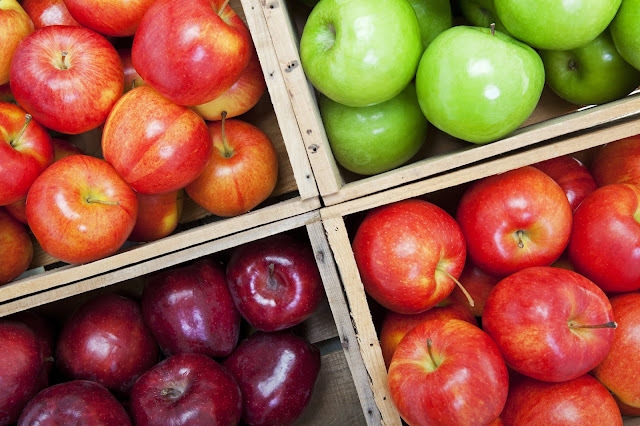 Apples in Charts - With prices are at a four year high, how will a 5% drop in Chiles crop play out? 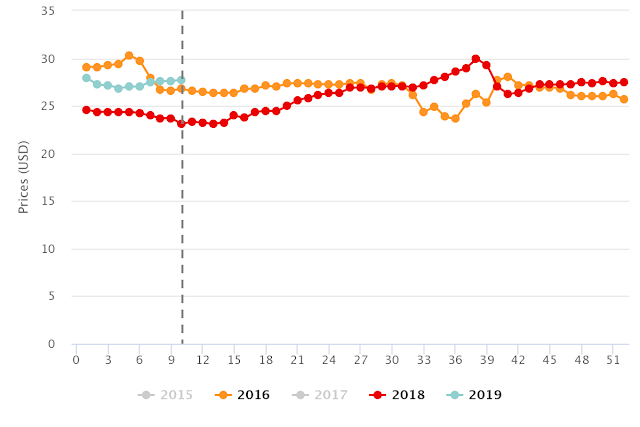 Over the last three weeks, apple prices on the spot market reached the highest we have seen in the last four years, surpassing the previous record holder which was 2016. 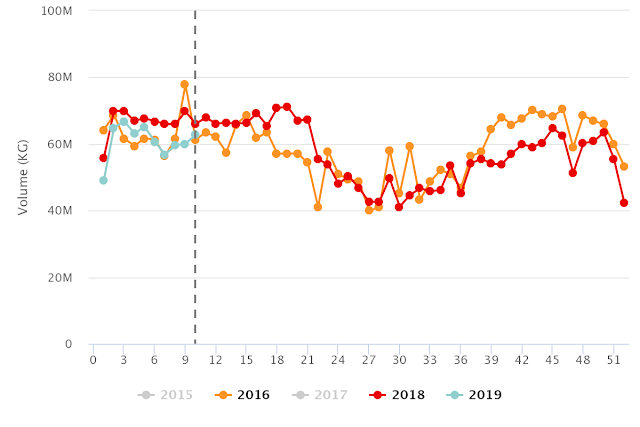 The increase in pricing is arguably the result of a 13% decrease in Washington's production, observed from October through February. This has left the markets with volumes very reminiscent of 2016. This bigger picture looking at the markets brings us to the Chilean season, which is already underway. Taking Chile into context it is important to keep in mind that in 2018 the country represented only 3% of the U.S. market, so it is much more susceptible to these macro changes than other origins. Another factor to keep in mind is that Chile currently has more free trade agreements than any country in the world, which its exporters have put to good use developing an extensive list of clients all over the globe, allowing them to seek the best opportunities for their fruit. 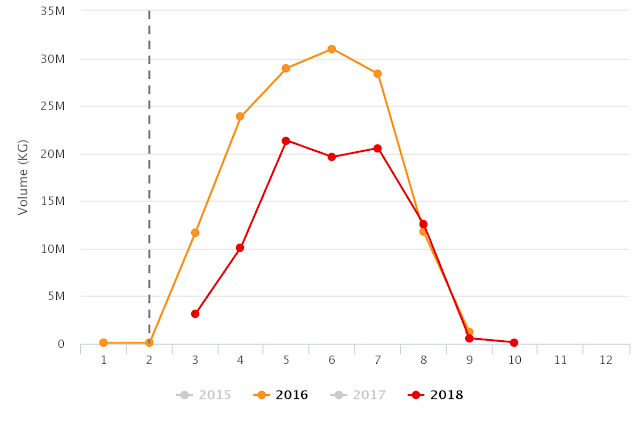 So given the current market conditions, I think that the 5% drop expected for Chile’s production (Mixed picture for Southern Hemisphere pome fruit production) will not affect the volumes that should be sent to the U.S. What I think will be a more likely scenario is that exporters will redirect their volumes from other destinations, increasing the exports to the U.S. compared to last year. 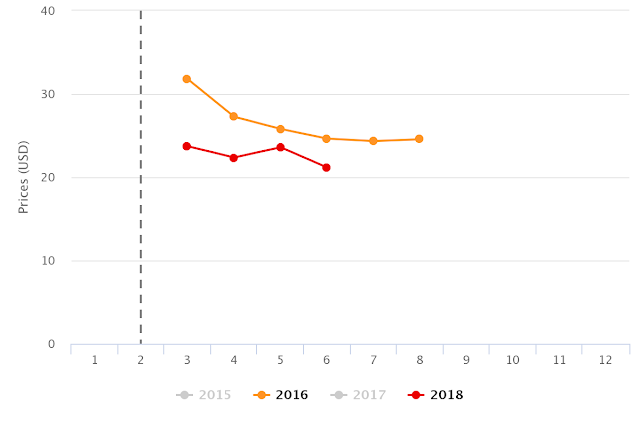 Even with my own prediction of growth expected, I would not be surprised to see prices staying steadily at around 2016 levels making for a very good apple season for our friends in Chile. 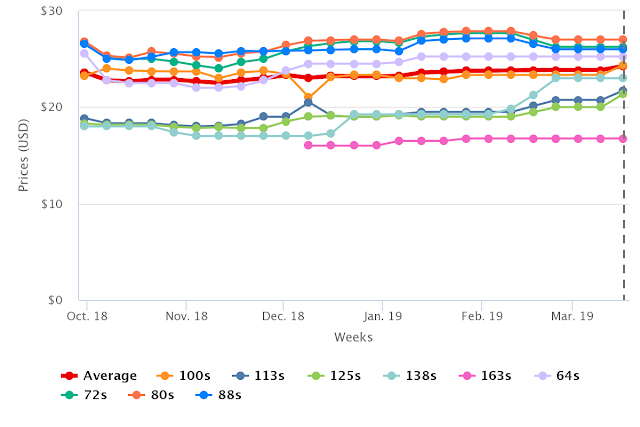 As a useful tool for readers to gauge how the markets are currently evolving, here is the updated weekly pricing by fruit size.